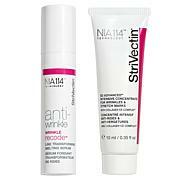 A day and night advanced retinol skin cares set formulated to help target the multiple visible signs of aging. Promotes visible skin beauty benefits and targets the appearance of major visible signs of skin age (like wrinkles, sagging skin and uneven texture) while protecting skin against sunburn (when used as directed). - 90% agreed their skin looked smoother. - 84% agreed their skin's texture looked more refined. - 81% agreed their skin looked more radiant. - 78% agreed the fine lines around their eyes were less noticeable. - 78% agreed this product exceeded their expectations. - 75% agreed their skin looked firmer. - 75% agreed their skin looked more youthful. - 93% agreed their skin looked smoother. - 90% agreed the fine lines around their eyes were less noticeable. - 86% agreed their skin's texture looked more refined. - 86% agreed their skin looked more youthful. - 83% agreed their skin looked more radiant. - 80% agreed their skin looked firmer. - 76% agreed the lines on their forehead were less noticeable. - 76% agreed this product exceeded their expectations. - 76% agreed the fine lines around their eyes were less noticeable. 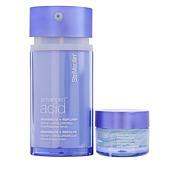 - As a moisturizer: Apply in the morning after your serum or oil (sold separately) step. Gently rub onto skin until completely absorbed. - As a sunscreen: Apply liberally 15 minutes before sun exposure. Reapply at least every two hours. See product drug fact panel label for complete directions and warnings. - Apply to clean face at night. Massage evenly and gently into skin. If you use a serum (sold separately), apply this afterwards. 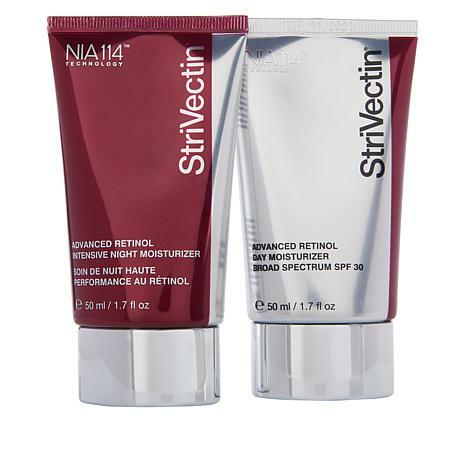 Be sure to apply a daily SPF (sold separately) when using any products containing retinol. Caution: Use only as directed. Keep away from children. Avoid eye contact, if product gets in eyes, flush well with water. Discontinue use if skin irritation occurs. If it persists, call a doctor. This product may increase skin's sensitivity to the sun. Use sunscreen daily. Apply to clean face at night. Massage evenly and gently into skin. If you use a serum (sold separately), apply this afterwards. Be sure to apply a daily SPF (sold separately) when using any products containing retinol. Caution: Use only as directed. Keep away from children. Avoid eye contact, if product gets in eyes, flush well with water. Discontinue use if skin irritation occurs. If it persists, call a doctor. This product may increase skin's sensitivity to the sun. Use sunscreen daily.